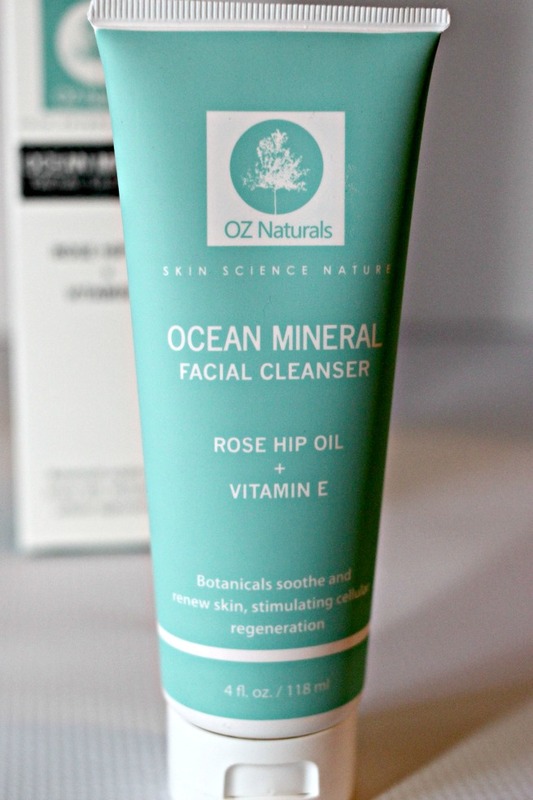 I am always on the lookout for good skin care products and I am excited to review Oz Naturals' Ocean Mineral Facial Cleanser. This post contains product received at no cost. I don't know about you but it seems like with each decade, my skin changes. In my teens, I was acne prone and oily. In my 20s, it was normal. In my 30s, it was combination. Now that I am ALMOST 40 *screams*, it's dry. What worked for me back then, doesn't work for me now. Now, my skin just wants gentle cleansing. I have been successful in using argan oil mixed with my moisturizer in the morning and using rose hip oil at night on my face. I have been trying out various facial cleansers to see if I can find something gentle, botanical and one that works. I have been using Oz Naturals' Ocean Mineral Facial cleanser for a few weeks. 1. It has rose hip oil in it. Rose hip oil is absolutely amazing. It gives your skin that dewy, radiant look, it's non greasy and super light. It's not brand new. The ancient Egyptians, Native Americans and Mayans used it for its healing powers. 2. It has Vitamin E in it. Vitamin is known for its anti-aging benefits. 3. It's soothing. When I wash my face with the cleanser, my skin doesn't get assaulted by harsh chemicals, instead its soothed and has a calming feeling. It must be the aloe. 4. It's full of botanical ingredients. The package has a long list of ingredients and it's full of botanical ingredients (i.e., oregano oil, tee tree oil, grapefruit seed, and so on). 5. No scent. Okay, I may not be 100% sure since I have been stuffed up and left with almost NO SMELL since New Year's. If there is a scent to it, it's very light. 6. No residue. Upon rinsing, my skin feels CLEAN, no left over residue and feels very SOFT. So far, I have seen positive results and I am really loving it. I definitely plan to add their serum to my routine. Just one thing. The packaging. This isn't just Oz Naturals but I like pumps over tubes. That's just me! Have you noticed your skin changing? You can find Oz Naturals Ocean Mineral Facial Cleanser on Amazon.